Believe it or not, summer is just around the corner. I admit that I am looking forward to a more relaxed schedule this summer. When I think of the perfect summer vacation, I always think about lazy days, trips to the beach and great books. 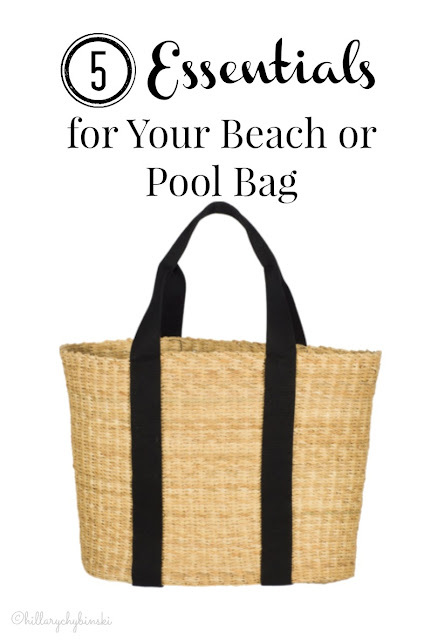 In anticipation of those perfect days to come, I've put together a little list of the five things I always have in my beach (or pool) bag. We know that protecting our skin form the harmful rays of the sun, is an important step in maintaining a healthy lifestyle - right? But why are sunscreens filled with chemicals and toxins that are so bad for us?? I used my trusty little Think Dirty App to look at some of my favorite and most used sunscreens, and was very disappointed. This year, in an effort to rid my life of more toxins, I'm searching out a healthier option for my sunscreen. Fragrance and parabens are the things to look out for. Like a good sunscreen, sunglasses are a must. The larger the frames, the better! UV damage is cumulative, and builds up over time, so it's never too early to invest in a great pair of sunglasses. Personally, I prefer a pair of tortoiseshell frames with dark lenses. I am a traditional girl, and find them to be the most versatile. 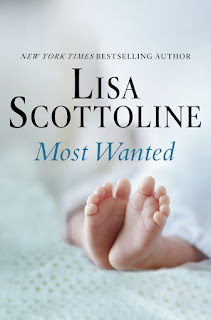 I recently received a copy of Lisa Scottoline's latest legal thriller, Most Wanted. I have been reading Lisa Scottoline for YEARS. and have had the pleasure of meeting her on several occasions. Not only is she a witty and intelligent woman, she is an amazing storyteller. 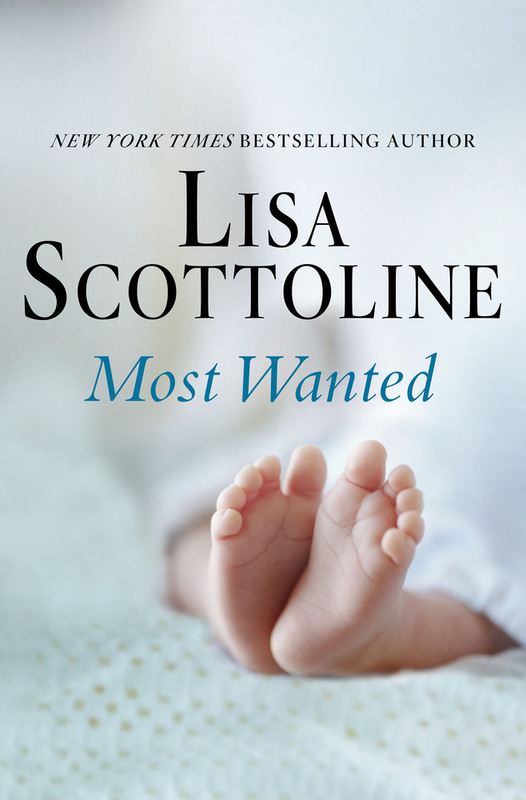 Her latest thriller, Most Wanted, explores the world of fertility. Scottoline never fails to pull me, not only into her main story, but also into the back story. There is always a "bigger story" in her books that I need to do some extra research on. Christine Nilsson and her husband Marcus desperately want a baby. After years of trying, unable to conceive, they discover that Marcus is infertile. Working with a highly respected fertility doctor and clinic, they decide together that Christine will use a donor to conceive. Three months pass and Christine is happily pregnant, and saying her final farewells to her beloved colleagues at Nutmeg Hill Elementary School. But a chance glimpse of a news report on TV results in a shocking revelation. Christine discovers that a man arrested for a series of brutal murders is her donor - the biological father of the child she is carrying. Delving deeper to uncover the truth, she must face her worst fears, and confront a terrifying truth. While I am most devoted to her Bennie Rossato series, Most Wanted is wonderful read and a great book to put in your beach bag this summer! It will keep you on the edge of your beach chair for sure. Scroll down for a chance to win a copy for yourself! Keeping hydrated during a day at the beach is a must. I always bring my water bottle, filled with filtered water from home. If necessary, I can typically refill it somewhere at the beach. I like a glass water bottle, and I've found one with a rubber outer casing that I really like. The rubber protects the glass from breaking. Don't underestimate the benefits of a great hat! 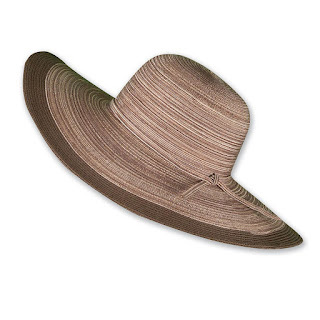 A wide brim hat can keep the sun off your face. It's a stylish way to protect your hair and the delicate skin on your face from the harsh glare of the beach sun. I received this cute hat from Aventura Clothing this year and can't wait to wear it down to the beach! So those are the five essentials you can find in my beach bag. I like to also add in a towel, some paper towels, Thieves Hand Purifier and something to pull my hair back with. My days of lounging on a hot beach are long gone, but I do like to enjoy the beach in the early morning or late afternoon and read a great book, while taking in the sounds of the surf. What essentials do you have in your beach bag?